The 115, 125 and 135 now come as Foil Ready constructions allowing the use of a hyrdofoil. 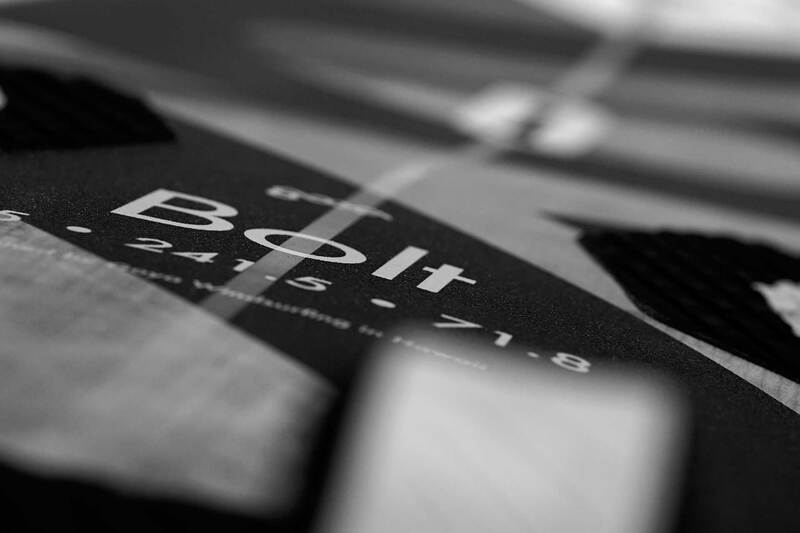 The Bolt line focusses on increased widths that will primarily add to your average speed around the course while still focusing on top end performance with tail cut-outs and the infinite tail rocker acceleration our Bolts are known and praised for. Foil Ready: 115, 125, 135 liters. Available with a Tuttle finbox (95, 105) or Deep Tuttle Foil Ready finbox (115, 125, 135). Available in black on metallic silver. 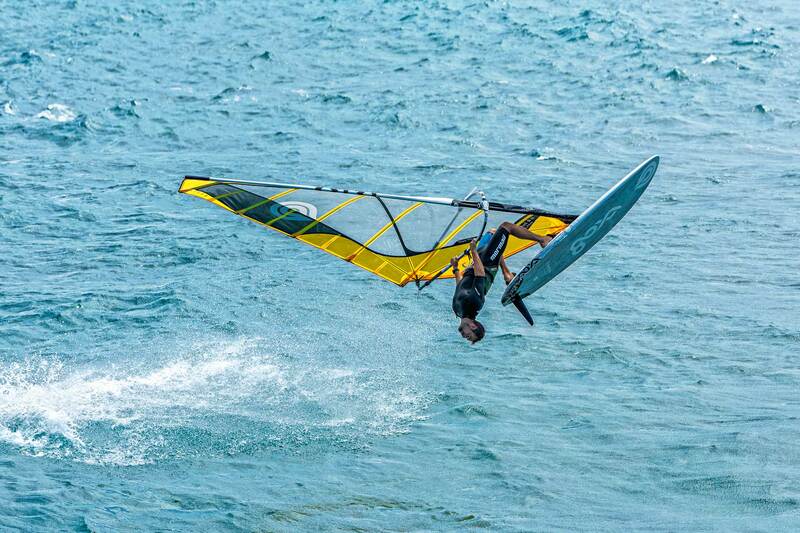 I surfed the bolt 105, 115 and 125 at Dunckerbeck Pro Center in Bonaire. The boards are absolutely amazing, super fast! Jibing with these boards is so easy and fun to do. The boards are very lightweight and jumps are easy to make. 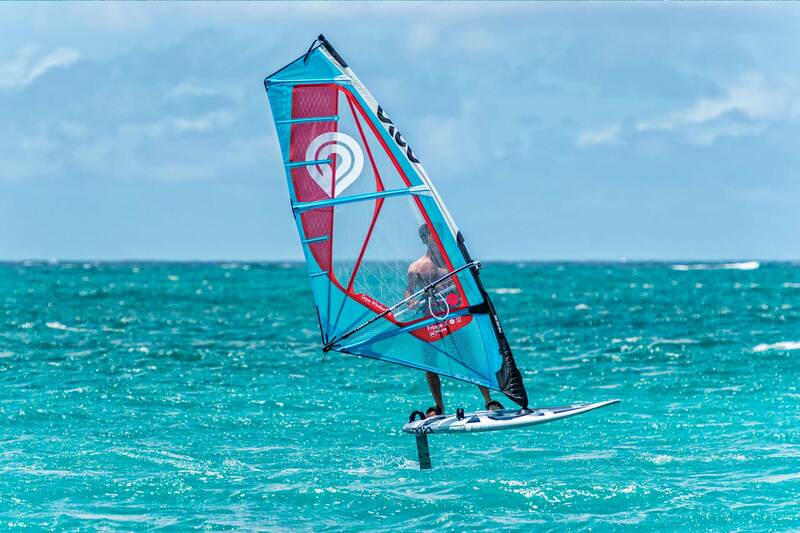 I liked the 115L the most because it holds up the best when there are a lot of small waves like on lac bay Bonaire. Wow. Just Wow. What an amazing board. I rented it for three ~20+ mph days at OBX. The Bolt 105 was instant fun. I put a 5.4m2 E-Type on it and was blasting out for miles away from shore immediately. Once I had the rental sail dialed in, I was the fastest person on the water. I was completing my jibes on the first tack. Before the end of the first day, I was planing away out of my duck jibes. 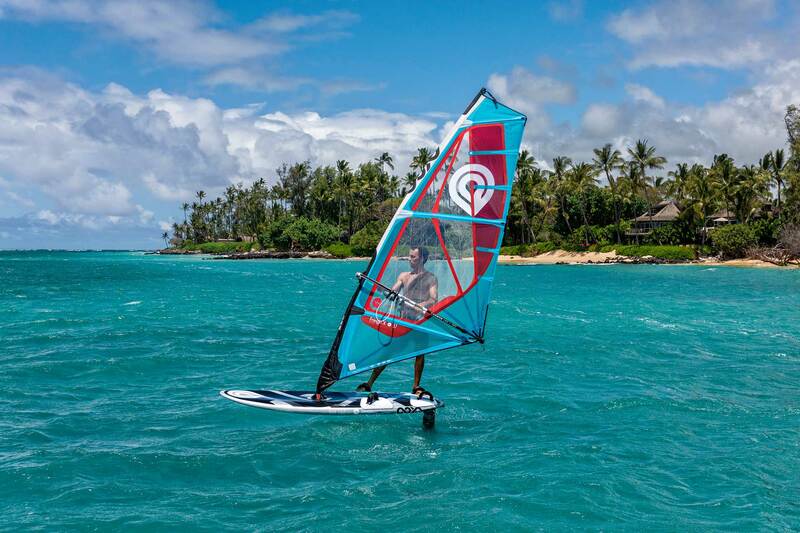 The board was so easy to sail, yet it was super fast and maneuverable. With the 5.4 fully powered up, the board was very stable. I didn't have to pay attention at all. I had a well-chosen weed fin from my stash that paired well with the board. I have been sailing performance gear for decades. This is by far the most fun I have had on a mid-sized board. Amazing. It made the week. Oh, and landing high-speed skipping jumps (not going high) off the swell was a breeze. The tail never went out on me. I sail with a lot of back foot pressure. This seemed to work well on the Bolt. The fin I was given was good, but I found the board did better with one of my own fins (Tangent Dynamics). They were similar in length/depth, but mine had less area and the leading edge was more vertical. When the board would spin out on me, my fin seemed to help the board catch back on track more naturally. The rental fin didn't do this for me. I wish I could have tried the 95 and 115! 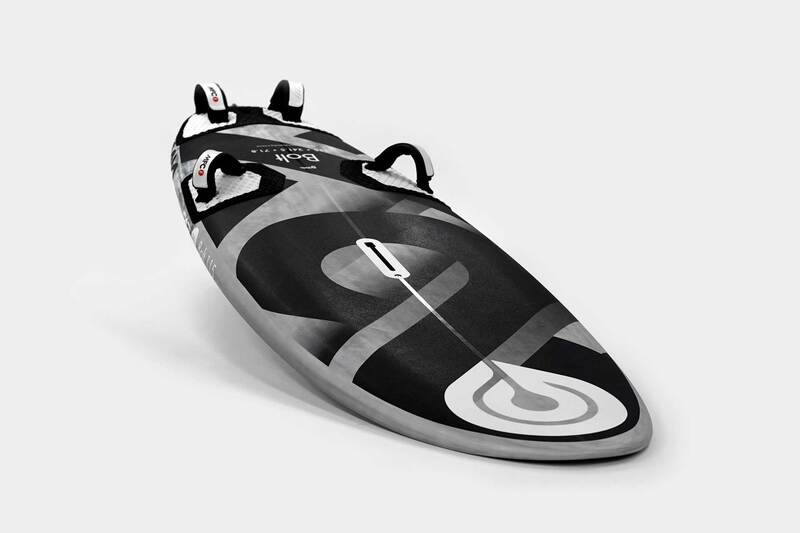 And I really need to try this board on freshwater as that is where I will be doing most of my sailing for the time being. I sailed the 2018 Bolt 115 and 125 at the Dunkerbeck ProCenter in Bonaire this past week and absolutely loved it! I've never had a board that was this easy and fast to get to plane – especially the 125l. To my opinion, it is a lot faster and more fun to sail than the SB Futura. I am sold and stoke! Cudos also for the Proton 136: even sailing in slightly higher wind than intended with only a Mark 7.2, this board was flying and remained easy to control and still great to jybe. Loved it! While the Mark are great sails, please design 2-camber freerace sail range! That would be an absolutely awesome combo with the Bolt collection. Bought the 2018 135L for slalom and to start foiling. 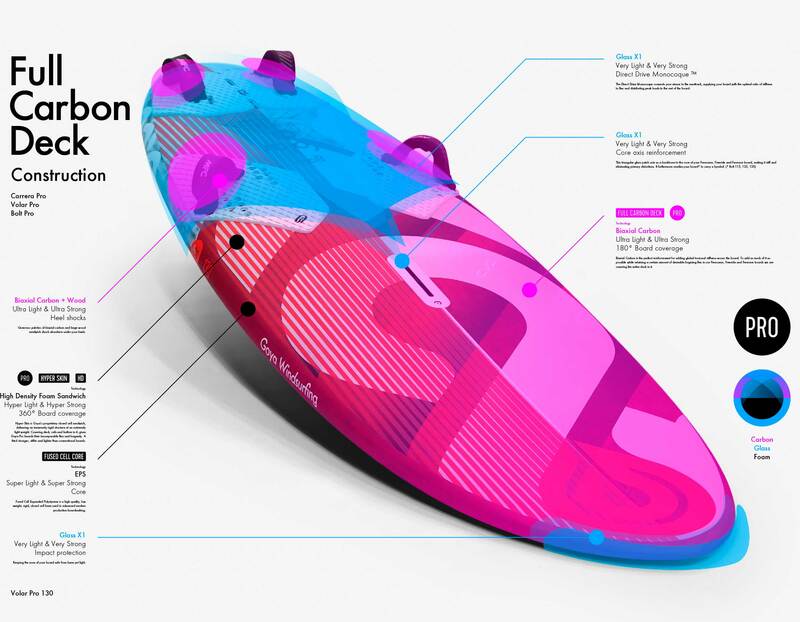 As a slalom board it sails as advertised. But as a foil board it has been amazing. I was thinking 115L but the Goya team advised me to go big, and that was the right choice. It allows me to more easily rig for the gusts. 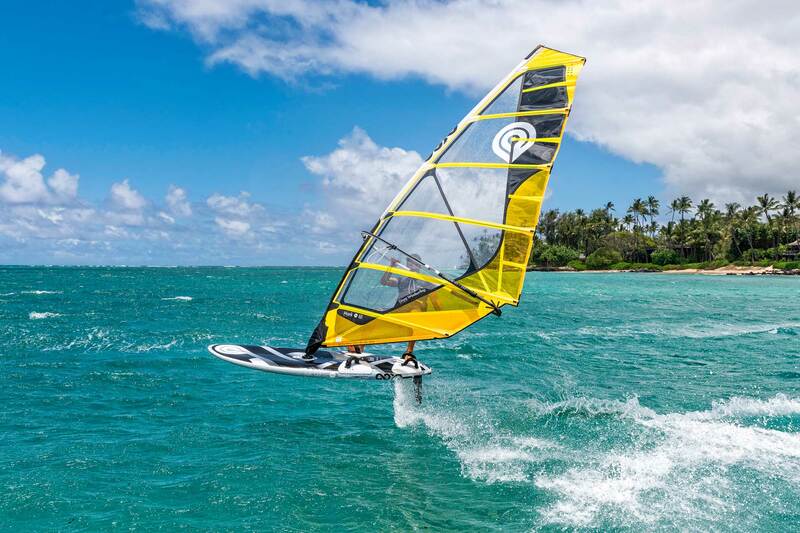 I've only had 14 days foiling so far, but can attest that the board is super fun to sail, crashes very softly, and holds up quite well to the abuses of foiling. Today was pretty windy so I was on my 4,7 and 90ltr FSW. But the wind dropped significantly in the evening so I put the Bolt together with 4,7 and 38cm original fin which seemed to be horrible combination of gear but never mind. And I was impressed. Very quick to plane. Easier than with Volar. If the Volar is freeride board on steroids then Bolt is Volar on steroids. Very nice jibing even with such a long fin. Very nice and soft riding through the chop. Very easy to keep nose down, but very easy to make some chop hops. Bord is much livelier than Volar and with higher top speed and and going upwind very easily. I could close and sheet in even on my 4,7 wave sail going upwind without significant loose of speed. It is unbelievable how the board planes through the luls. It was only 30min ride on underpowered 4,7 but this board is relly dream. Y para me peso de 70 esta perfecto, creo que la qullia de 42 es un poco grande ,40 sería mejor. Es la tabla del año , todos estaban pendientes de la performace. Thanks to Lalo who recommend me this board at DefiWind !! Once again: Mahalo for this great board(s)! It was just great. And I was really surprised about the speed of the board. On my second run I reached 29,5kn in very gusty conditions with a 9.3 freerace sail. Just cool. My son is riding the Bolt 95 with sails between 5.0 - 6.3. What a dream for him. No problems to control in rough conditions. Looking forward to complete our range of 95 and 115 with the new 135. Let's start with speed, the 105 is a quick little beast...35 knots with a 6.4 in the Gorge chop is some serious velocity. The thing is it doesn't feel fast, just comfortable. 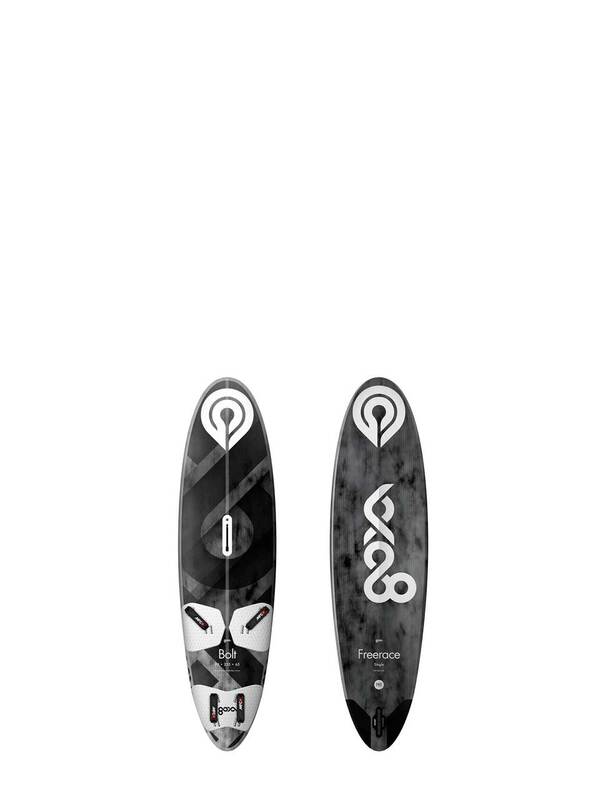 It's a deceptive board that feels super stiff both in construction and ride. It tracks true and doesn't change direction easily. Once you get acquainted with its characteristics you can start cranking the turns with gusto, drive hard and it will turn fast. The 105 carries speed easily on all points of sail. You have to fin it up to get it working, a 36cm Vector Volt seems sweet but the lack of nose rocker and tail up attitude takes some getting used to off the wind in the channel where steep swells and crazy chop live. Upwind speed is very impressive and it's so easy to sail. In an hour and half session I didn't drop a single jibe! Nice job Goya, can't wait to try the 95. The Bolt just loves to jibe and goes pretty fast too : ) Have only tried Bolt 105 with 6.6 m sail so far and they match perfectly I'd say. Thanks to everybody involved in crafting this easy to use line of boards. I want to inform you about the Goya Bolt. Maybe you already know, but this is a superb board range! Mega fast and controllable. Now I have tested the Bolt 105, I'm just blown away. Now I'm thinking of buying a full set of Bolt boards. First jibe was a surprise! Then again, so was the first run. Both had me smiling. The board is fast, forgiving and, most of all, fun! Kudos to the team. Great product. PS - Last summer, the Carreras were some of our best sellers. They made people realize Goya products are more than wave toys. The Bolt is doing the same - especially with the addition of the Mark. It's great to see you guys put in effort on the free-ride front and find success. It's deserved! Mahalo for this great board! On Saturday I picked up my Bolt 115 at my local dealer FreestyleWorld.de. On Sunday and Monday I had my first two impressing sessions. I don`t like it, I LOVE IT. On Sunday I took my Mark 8.5 and I have to find the perfect setup and maybe a bigger fin. Yesterday (Monday) the wind was a bit stronger and I choose my Mark 7.2. Wow, what a perfect combination. From the first second I felt as comfortable as I would have never had any other board before. 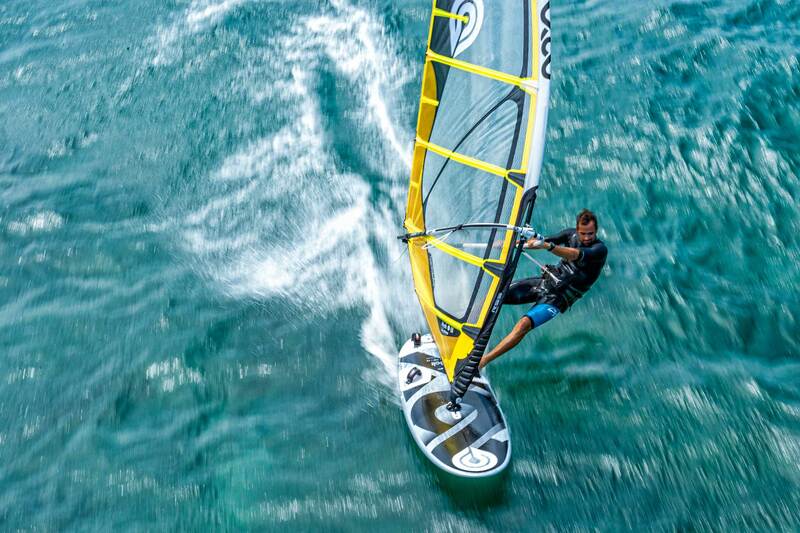 Get on board – fell the wind – get the power in the sail and the Bolt is releasing early and accelerating quickly. 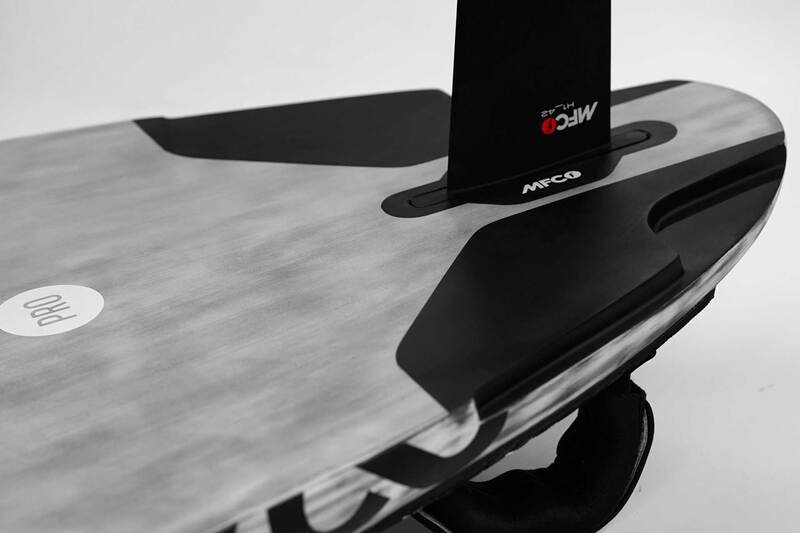 The question is, who needs a difficult and hard to ride “slalom machine” if you can get the speed of it together with the easy and smooth handling of a freeride/freemove board. I don’t! Maximum speed on my second session 28kn and just 85% power in the sail. There is a lot more possible. I really hope more surfers will be able to test and surf the Bolt. I am sure they will refuse to give it back. The Goya Bolt 115 is a real Speedmachine! First try with a Banzai 5.0 Wavesail with a Vmax of 30,674 Knots. With the new Goya Mark it should go easily a few Knots higher. Good news I picked up my bolt 115, Board looks fabulous. Have had a couple of sails on it now and am very pleased with it. I'am so glad I went for the bolt it's so fast ! Brilliant! !! Thank you. "Dude that board is unreal, f..... perfect powered 4.8 day"
Hoy me han llegado las tablas y he podido estrenar la Bolt 105. La he montado con la Mark 7.2 y es un equipo que funciona muy bien, es el tamaño correcto para esta tabla. Ahora tengo un equipo que arranca rápido y que tiene buena velocidad. La tabla se nota muy corta al navegar, al principio se me hacia rara, pero cuando vas al largo se agradece, porque cuando bajas la ola no se clava. La tabla es bastante técnica, la trasluchada és como de una tabla de slalom, pero cuando le coges el punto, sale como un cohete. He hecho varios piques con turistas con material de slalom, y al largo los dejaba bastante atrás…pero no se si el nivel que tienen es muy bueno. Creo que la aleta de 40 es demasiado grande, seria mejor 38, pero tengo que probarlo para estar seguro. Ciñe mucho, he remontado el viento con mucha facilidad. Supongo que en los test de las revistas va a salir con muy buena nota.